The SFBALEES Executive Board recommends that you stay late rather than come early due to the fact that SFPD Officers will be detailed to the Halloween festivities in the city and will not be able to get days off. For those who choose to stay late, additional itinerary items have been added. *The SFBALEES Executive Board also requests that you phone Mike Moran (415)806-8326 prior to arrival. 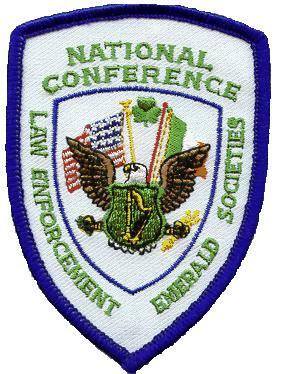 Mike needs the names and phone numbers of persons attending the conference as well as Tshirt sizes and a list of who will be going on the wine country tour, the Alcatraz trip /Alioto's dinner, and city tour followed by home cooked meal. For those attending the Alcatraz Trip, Please meet in the hotel lobby at 930AM. SFBALEES will provide transportation to Pier 33 where we will board Alacatraz Cruises and travel to Alcatraz. PLEASE dress warm & bring raingear in case of incliment weather. 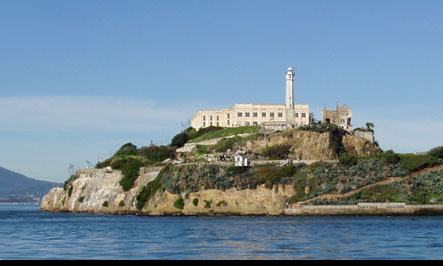 The Alcatraz trip will be followed by dinner at Alioto's Restaurant on Fisherman's Wharf. Cocktails at 6:00pm, Dinner at 7:00PM. Personal tour of the city with members of SFBALEES, followed by a home cooked meal at one of the SFBALEES Executive Board Member's homes. 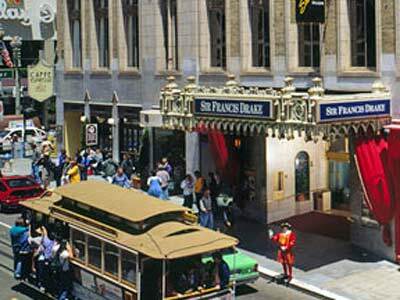 The Sir Francis Drake Hotel is located in the Union Square district of downtown San Francisco, and is within walking distance of great sights as well as shops, restaurants, bars and theaters. 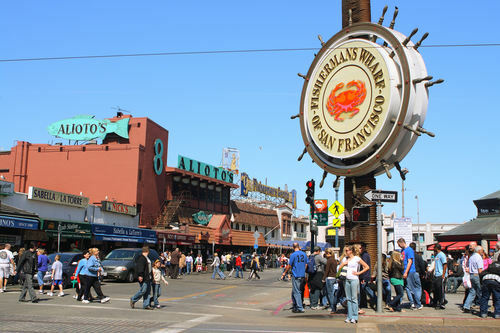 You will be close to Chinatown, North Beach, and Fisherman's Wharf. We are very proud of our city and we will go out of our way to make sure you have a great time when you come here. The Starlight Room is located on the top floor with a magnificent view of the city. Live music nightly 6PM-8PM. We do not recommend renting a car as everything is within walking/ taxi cab distance. The prices are similar (may be slightly higher) for people who wish to fly into Oakland Intl' Airport. For those of you who have been to our great city, you kow what it offers. For those of you who have not, you will find that San Francisco is one of the finest and most interesting cities in America and, in fact, the world. It has been said that if you can't find it in San Francisco, then it does not exist. We have the world famous Golden Gate Bridge, Alcatraz, Fisherman's Wharf, The Bay Bridge, Lombard Street, Coit Tower, and AT&T Park, home to the 2 time World Series San Francisco Giants. San Francisco is also the home to America's Cup, which will be broadcast globally. PLEASE CHECK BACK REGULARLY AS WE WILL BE UPDATING THIS WEBSITE WITH THE MOST CURRENT PLANS AND ITINERARIES AS THE CONFERENCE GROWS NEAR.